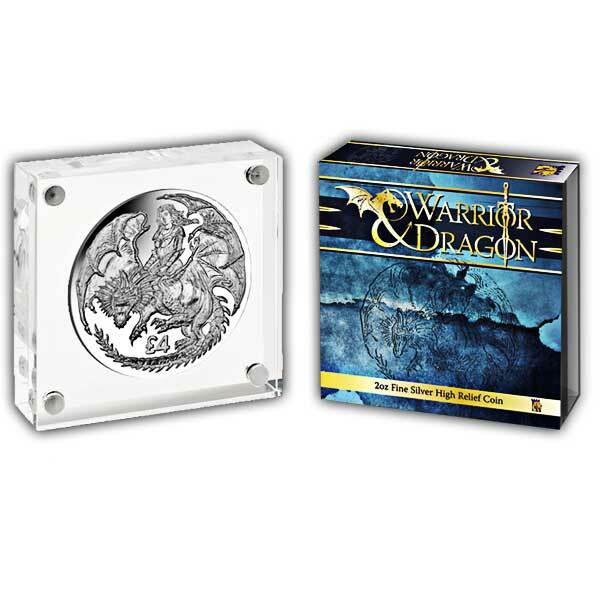 Classical and mythical images have been a core subject to appear on coins for many years. From earliest times, each English Monarch has used beasts to symbolise their descent and familial allegiances. Henry VIII had beasts carved to celebrate his marriage to Jane Seymour which were placed in the grounds of Hampton Court Palace in South London which included the Tudor dragon. There is also a dragon amongst the Queen’s Beasts. The popularity of dragons has increased dramatically over recent years with appearances in books, songs and films such as Harry Potter, The Hobbit, Game of Thrones and, of course, the popular movie How to Train Your Dragon. However, stories of these mythical creatures have been around for a very long time. Everyone knows the story of St George and the Dragon. 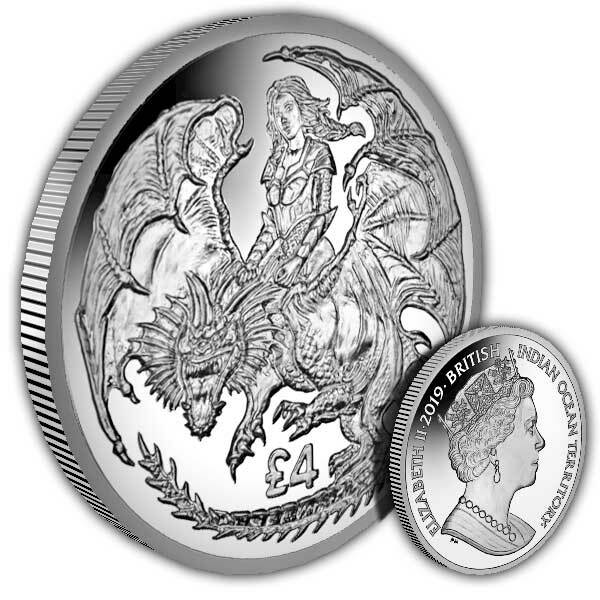 Pobjoy Mint is therefore delighted to announce the release of a striking new Fine Silver 2oz coin which features a female warrior astride her trained dragon on behalf of the British Indian Ocean Territory. To accentuate the intricate image, the coin has been produced in High Relief which really brings these two characters to life which emphasises the power of this unusual pairing. The obverse of the coin features the Pobjoy Mint exclusive effigy of Her Majesty Queen Elizabeth II.